As a professional, how you appear when you first show up for a meeting underscores your desire to give a positive impression. Your physical appearance as a professional extends to what you bring with you as much as what you wear. Being uncluttered signals preparation and organization. Combining your handbag with a tote bag, briefcase, business-style backpack or computer bag allows you to free up your right hand to open doors and, more importantly, to greet others. 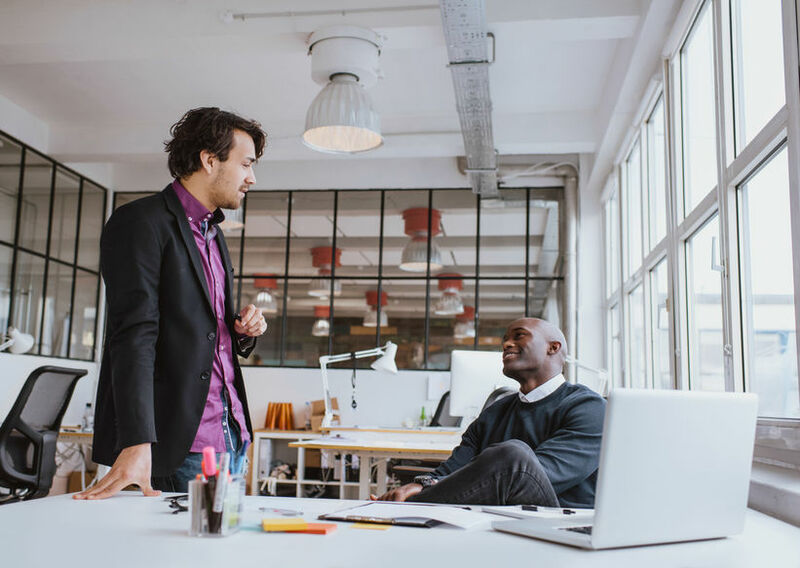 Face-to-face meetings are an important part of many professional landscapes. Showing up ready and available requires your keen attention to the details of your personal space -- and what’s in it. When you enter a meeting room encumbered with multiple bags, you need a moment to place them somewhere before you can greet other people in the room. This only brings attention to your stuff rather than to the introduction, greeting, and importance of the other person. Consider what exactly you need for this meeting. If you're giving a lengthy presentation, you may genuinely need multiple bags to transport the materials necessary to present your information effectively. However, if you only need a few files for this particular meeting, it should be easy to place them in one bag or briefcase along with your computer or tablet. If more than one bag is a necessity, consider using a rolling bag. They are fairly easy to maneuver and will make transporting things much easier. They are also easy to let go of for a moment to appropriately greet someone with a handshake. When attending multiple meetings in a day, particularly when traveling, you might leave any unnecessary bags or materials in the trunk of your car or ask if you might leave them at the reception desk of the office you're visiting. If neither of these options are available, arriving early will give you a chance to put your things away so you can greet the business associates or coworkers you're visiting unencumbered. 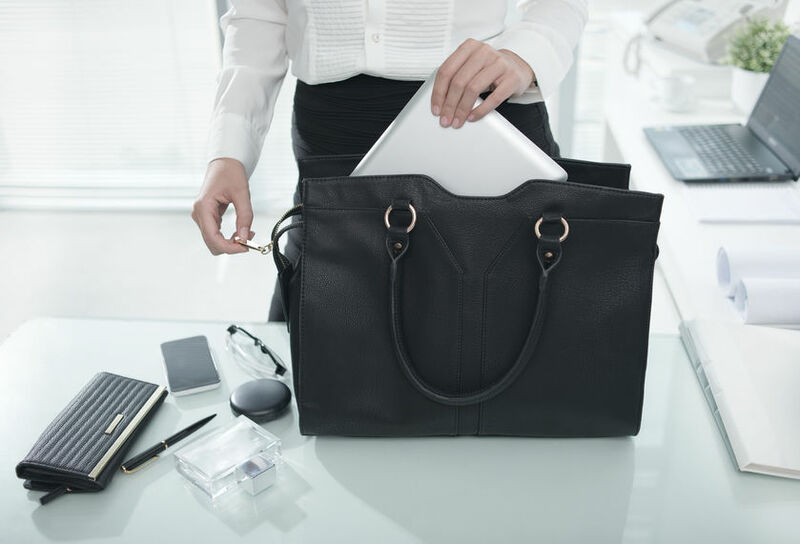 For women, lighten your load by placing the items you carry in your handbag in your briefcase or computer bag. Arriving with one bag gives the impression you are organized and efficient. Signaling “I’m here to have a productive meeting,” not only comes from your chosen attire and friendly attitude, but from what you bring to the meeting and how you bring it. Do you physically represent quality? Are you one notch above what is expected? Regardless of the bag (or bags) you choose, it should be designed with functionality in mind. Are there just the right number of pockets or sections to store what you need for this meeting and other meetings during the day? You may want to consider an exterior side pocket to store a boarding pass, Metro card, lipstick/lip balm, or other small items you can access quickly. Does your system of organizing include places for the essentials? The ideally organized bag would have business on one side, toiletries and personal items on the other, and your laptop in the center so that you never waste time removing or replacing an item. Is your bag well-designed and does it speak to your good taste? Is it the right size? Are the straps long enough to easily place on and remove from your shoulder? Is the material robust and practical? A bag of any kind is an appendage. It speaks a lot about you. Quality, functionality, and comfort are of utmost importance. The number and quality of your bags and briefcase are more noticeable when you don't handle them etiquette-fully. This also affects the impression others have of your professionalism, or lack thereof. Placing any bag on the meeting table. Digging through your handbag or other carry-in’s. Getting lost in your stuff is an interruption and causes waiting. Forgetting to turn off your electronic devices that may interrupt the meeting. Forgetting to clean or repair the bag or briefcase you choose to bring. Preparation is always key when attending -- and especially when leading -- a meeting. Show your professional preparedness and efficiency by bringing only what you need in an organized manner.